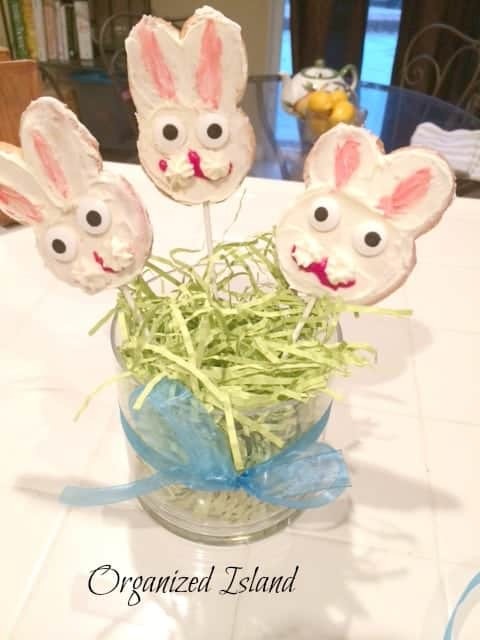 Today I’m sharing a simple way to make a simple and fun Easter dessert with very little effort. 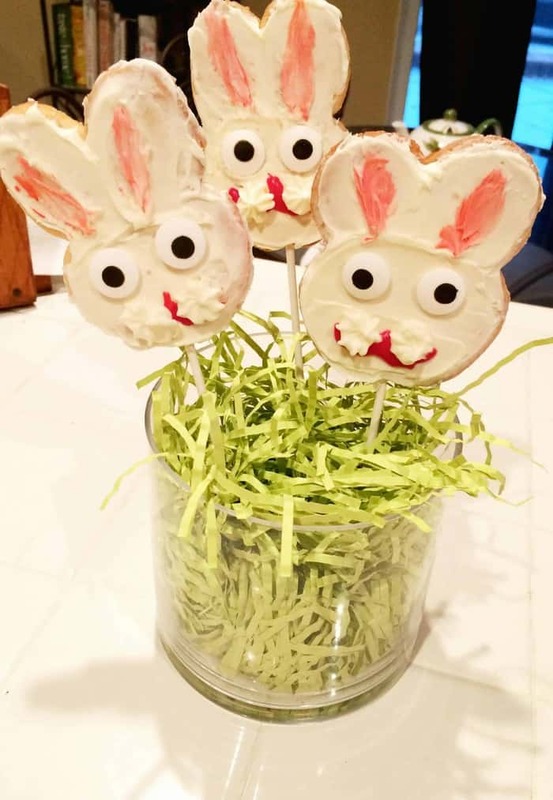 It can be fun to change things up and make these cute Easter cookies for your Easter brunch instead of loading up on candies. 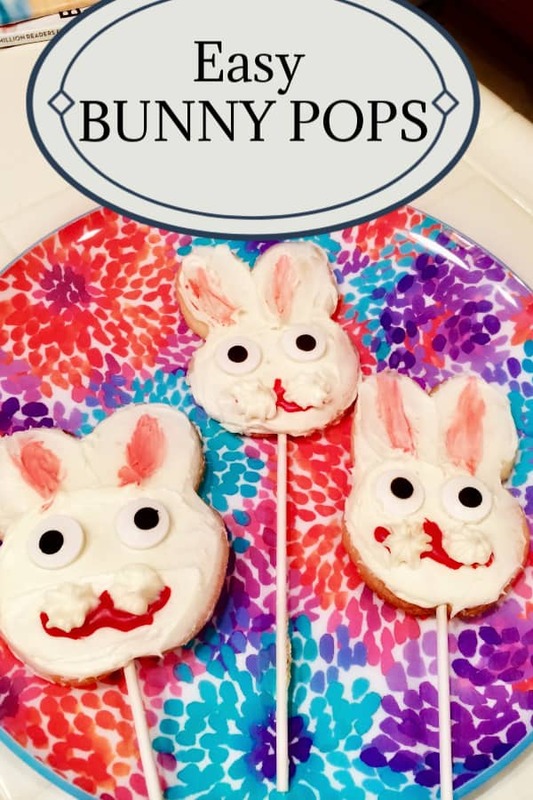 These are easy to make and you can even get the kids involved by decorating their own bunnies. This post contains affiliate links. 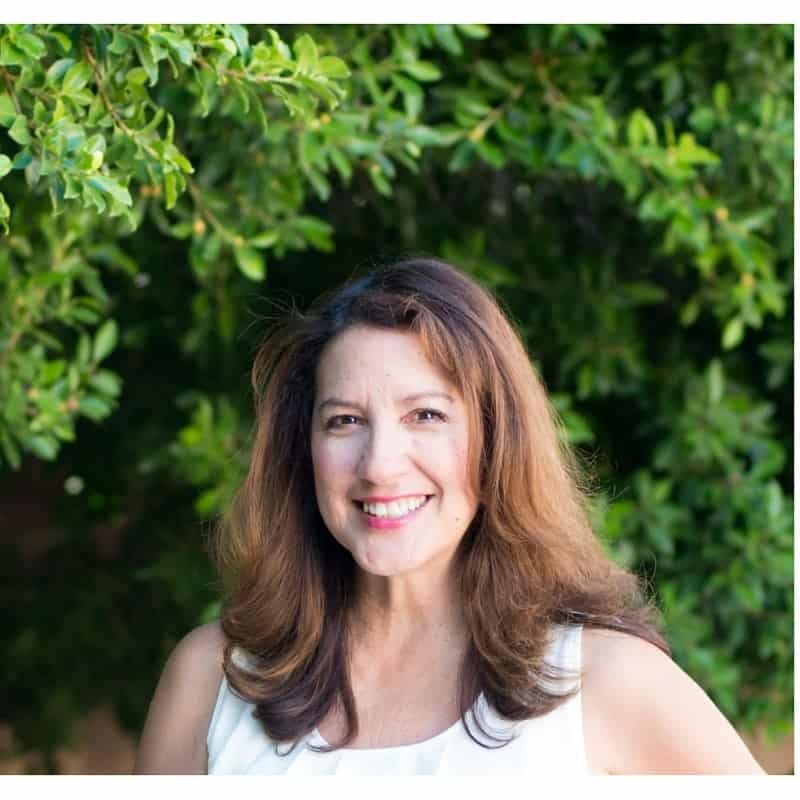 This worked perfectly with my schedule because I had an accident with my eye last weekend and that put me out of commission for a couple of days. I am healing slowly and thanks to the ability to zoom my computer settings, I am getting back to work. I am very thankful that my eyesight is coming back and for the wonderful support I received from friends. I love putting Easter gifts together for friends and family too. I remember it was so exciting as a kid to open up the Easter basket and go on egg hunts in the backyard. Then we would get dressed up in uncomfortable ruffle dresses, tights and patent leather shoes from J.C. Penney for church. Now, these days, I love getting dressed up, but thankfully they are making clothes much more comfortable than they did when I was a kid. 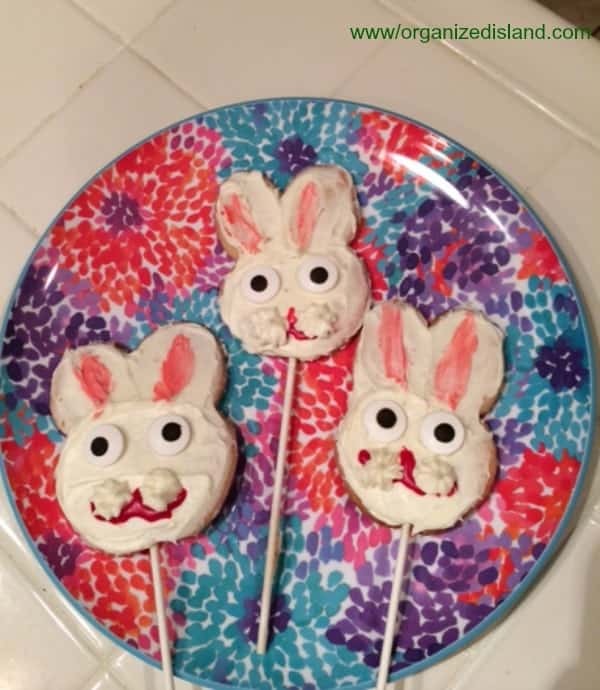 This fun Easter dessert is very simple to do and even simpler when you use a store-bought cookie mix. 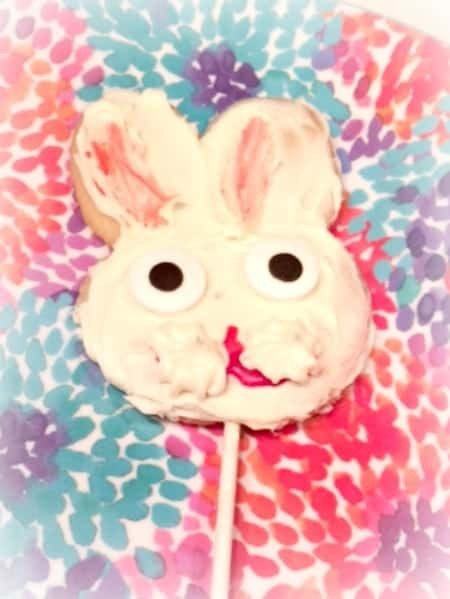 All you is cookie dough, icing, and some lollipop sticks. I prepared the dough for rolled cookies about 1/4 inch thickness and used a bunny cutter. before baking the cookies, I inserted the sticks into the middle of the cookie. You want to insert the stick about 1/2″ into the cookie. I like these sticks because they are colorful and longer. Once the cookies have baked and cooled completely, I frosted them and uses candy eyes for the face. They can be put in cellophane bags and tied with a ribbon, placed on each plate. Or you can arrange them into a fun centerpiece. This also makes a fun gift for friends or relatives. Mix softened butter, milk and 1 cup sugar in a bowl. A stand or hand mixer is recommended for making this frosting. If needed, add more milk or sugar for desired consistency. Frost cooled cupcakes with a knife or using a decorating tip. Sugar cookie dough – I have a great easy sugar cookie recipe here. 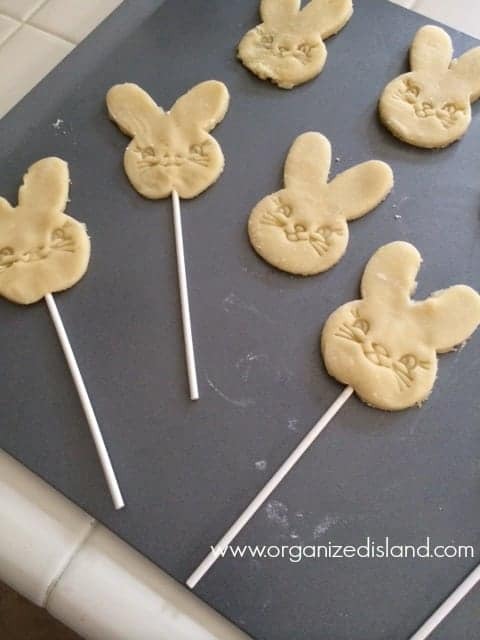 bunny cookie cutter – I like this one. Buttercream icing – recipe below. Prepare cookie dough per recipe. You can also use a prepared dough. Frost with buttercream icing (recipe below) and decorate faces. Do you know someone who needs a cookie bunny? I’m with you, as you can probably tell from my recent post. I’m all about cookies over candy. Unless we’re talking only chocolate. I love Easter. We’ll be doing a breakfast buffet with the Easter Bunny this weekend, as long as an Easter Egg Hunt. AND..we’re half Jewish so we’ll be doing Passover this week. My kids and their endless celebrations. Oh my goodness, these are SO cute! I hope your eye heals completely quickly!! Thank you Susan! 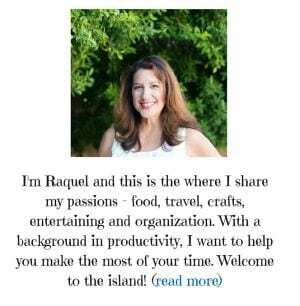 It was really scary for a while but I’m very relieved to have gotten most of my site back, thanks for stopping by! Cute bunnies! Hope your eye is better soon! How cute! And they look delicious.